David Down’s revised Egyptian Chronology fits with Moses in the 12th dynasty. With a long sojourn and no first intermediate period, his chronology also fits with Joseph being Imhotep. | Could Joseph and Imhotep have been the same person? David Down’s revised Egyptian Chronology fits with Moses in the 12th dynasty. With a long sojourn and no first intermediate period, his chronology also fits with Joseph being Imhotep. « Wyatt was right about Imhotep being Joseph and did find the site of the Red Sea crossing and the real Mt Sinai in Arabia but wrongly concluded that Moses was in the 18th dynasty. i am in agreement with your evidence with joseph and moses, but it is presenting some problems further down the person trail. i am studying papwers which claim king saul was ahmenhotep I and david was thutmoses. while the evidence seems to fit the dates do not. thutmoses is placed in 1500s bc, davis was born 1040bc. so there is a huge gap that cant allow the people to be the same. i am in agreement with the present date for adam being 6011bc give or take, considering we dont really know, maybe that is where my problem is created with david. 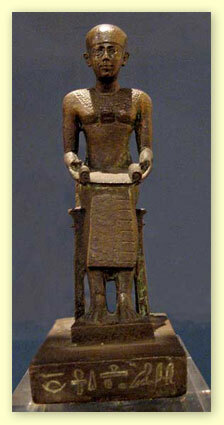 The Bible says that Joseph was a sage or vicroy for the Pharaoh and Imhotep fits the bill perfectly. Moses was an Israelite baby who was adopted by the Pharaoh’s daughter and raised as her own. Maybe he would have been a pharaoh if he did not have to go into exile in Midian for 40 yrs at the age of 40. The Israelites had to make mud bricks and work the fields for pharaoh. There were 2 million Israelites and they were slaves in Egypt for at least half of the time that they were there. Even if they only made one mudbrick per person per day, that’s a lot of mudbricks. The 12th dynasty pyramids had a core that was made of mudbricks. Amenemhet III was the last pharaoh of the 12th dynasty to build a pyramid. 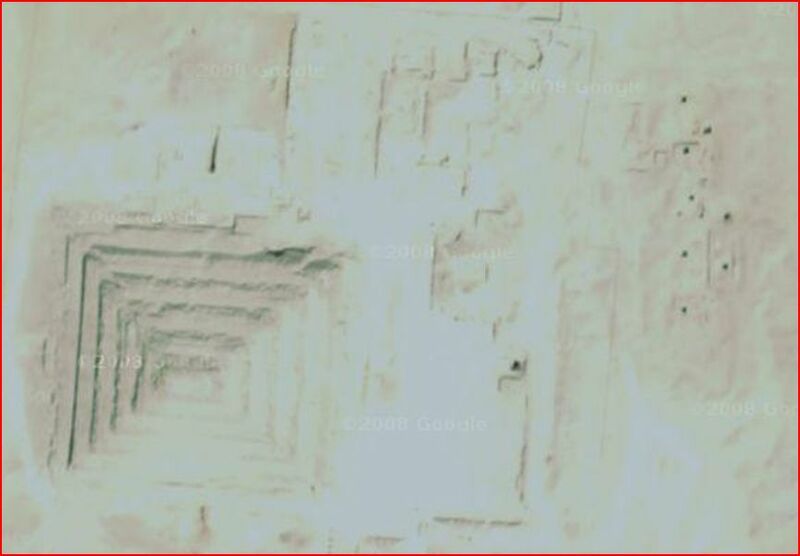 In fact, he built two pyramids that had mudbrick cores and he also built the labyrinth. He reigned for 46 yrs and had a daughter called Sobekneferu who had no children of her own. Another figure called Amenemhet IV who had no genealogical records, co-reigned with Amenemhet III for 9 yrs and then suddenly disappeared. Moses may well have been Amenemhet IV. This would make sense and agree with Bible as Moses was raised by pharaoh and was being groomed to be the next pharaoh. This was around the time that Moses had to flead to Midian. Sobekneferu took over after Amenemhet III died but only reigned 4-8 years and then she died and the 12th dynasty ended. There was a rapid succession of pharaohs in the 13th dynasty and second intermediate period. Moses lead the Israelites out of Egypt 430 years after they first came to Egypt at the age of 80 during the reign of Neferhotep I. The Israelites were in the wilderness for 40 yrs. Then they were lead into to promised land by Joshua. The period of the Judges lasted around 400 yrs. Then Saul became the first king of Israel who was succeeded by David who was succeeded by Solomon. The dates for Solomon building the temple are fairly established and accepted even by worldly archaeolgists as around 960BC. The bible says that the exodus took place 480 years before this. Saul and David were Kings of Israel. It does not make sense to try and equate them with an Egyptian pharaoh. It would be good to know which pharaoh in Egypt was ruling when David and Solomon were ruling in Israel. From what I can see, it appears that Apopi II, the last pharaoh of the second intermediate period – a Hyksos was driven out of Egypt by a rebellion lead by Kahmose, the son of Sequenre and the brother of Ahmose I. When Apopi II and the Hyksos left Egypt heading north, they encountered the Israelites who were lead by Saul at the time. Samuel instructed Saul to put them all to death. Saul all but wiped out the Hyksos as instructed but disobeyed Samuel by sparing Agag (Apopi II). Samuel put him to death himself. Ahmose I became the first pharaoh of the New kingdom of Egypt while Saul continued to reign in Israel. Saul in Israel was then succeeded by David and then Solomon and Ahmose I in Egypt was succeeded by Amenhotep I, then Thutmoses I followed by Thutmose II and then Hatshepsut (the Queen of Sheeba who visited Solomon). Thutmoses III succeeded Hatshepsut and became the most powerful pharaoh of Egypt plundering Israel during the period of the divided kingdom of Israel. He was the Shishak of the Bible. David was 1000BC and Saul about 1040BC. If the Egyptian dates do not match it is because they are wrong. The Egyptian dates need to be revised – I could go on and on as to why they are wrong but just accept this for now. David and Saul were kings of Israel. They were not pharaohs. Ahmose was a contemporary of Saul, Amenhotep I was a contemporary of David and Hatshepsut a contemporary of Solomon. I am reading a paper at the moment that puts the whole saga 100yrs too early. which would fit the timeline enabling david to fit the dates. it give cush as menes, nimrod as Osiris and athothis. the issue I have is while I can place moses as ahmenemhat IV, and the adopted mother of moses who drew him out of the nile as sobekneferu. I have joseph as Imhotep, but this paper has joseph as a person called souphis, I am having difficulty matching this person. the paper is very interesting but I failed to copy the author or link. if anyone is familiar with this paper I would be happy if I could have the name of the author or link.